The project objective is to provide user-friendly foreign and virtual currency exchange platform, with competitive exchange rates and low spreads for currency conversion due to the multiple remarketers with leading brokerage/exchange solutions in fin tech environment. The platform is capable to accept fiat deposits via cards and bank wires processing for supported regions. 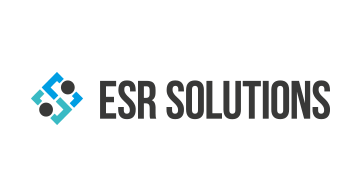 ESR Solutions provide prepaid access program for qualified KYC customers. Prepaid debit cards (virtual and plastic) are issued via Visa/MC register agents (ISO/MSP) and certified issuing bank. Our advance interface integration ensures customers with full access for card management functionality via our front end. Real live web service calls maintain balances and operations accuracy. ESR Solutions is currently servicing over thirteen hundred active users with crypto/fiat exchange operations. Our company is licensed in Distributed Ledger Technology for Virtual currency emission, its exchange, digital wallet operations, virtual currency transmission and third party values storing. Exchange web platform covers multiple virtual and FIAT currency support, including its storing, exchange, deposits and payouts. Onboarding process with several levels of verification (KYC). The operations Management System provides real time virtual balances access, its management, and enables user to have live, dynamic bundle with multiple exchanges via our remarketer solution. Every transaction is going through AML screening and comply with our KYC/AML policies.